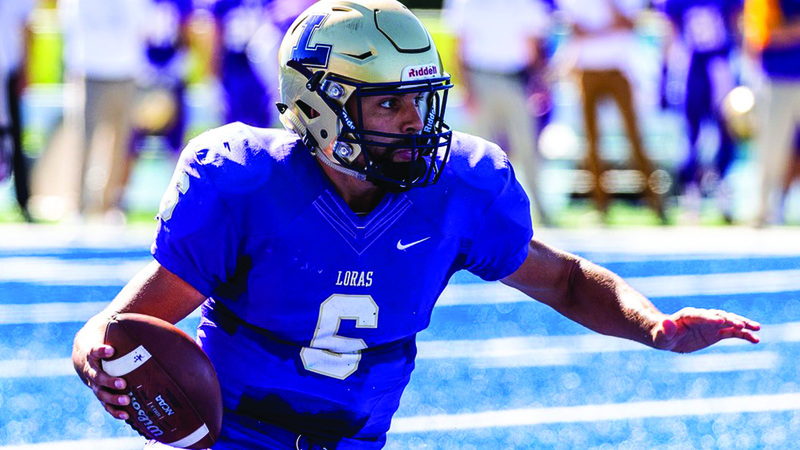 Saturday, Sept. 22, the Loras football team traveled to Decorah, Iowa to take on the Luther College Norse. 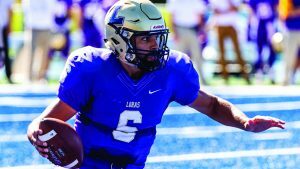 In a back and forth affair that included six lead changes and two ties, the Duhawks prevailed 35-28. With the game tied 28-28 with 4:03 to play in the 4th quarter, Duhawk sophomore quarterback Noah Sigwarth scrambled out of the pocket and found first-year Elijah Thomas downfield for a 60 yard score, capping off a 4 play, 82 yard drive that spanned just 1:19. Sigwarth spearheaded the Duhawk offensive attack, accounting for four touchdowns on the day. The Dubuque Wahlert product completed 14 of 26 passes for 213 yards, 2 touchdowns, and no interceptions. He also ran for 2 touchdowns on 17 carries for 93 yards. Senior running back Cody Mighell also carried the ball 25 times for 120 yards, while senior wideout Brad Boelkow led the Duhawk receiving corps with 5 catches for 70 yards and a touchdown. First-year placekicker Tim Tischer also kicked two crucial field goals, including one to tie the game at 28 in the 4th quarter. Sophomore quaterback Noah Sigwarth scans the field while under pressure. The Duhawks take down the Norse last Saturday 35-28. The road to victory brings the Duhawks to 2-1 on the season and 1-0 in the American Rivers Conference. The Duhawks return home this weekend to host their crosstown rival, the University of Dubuque Spartans. The Spartans (2-2, 1-1 ARC) are coming off of a 35-13 defeat at the hands of the Central College Dutch on Saturday. Coach Steve Helminiak’s squad is hoping to avenge last year’s 27-24 defeat to the Spartans this week in the Rock Bowl. 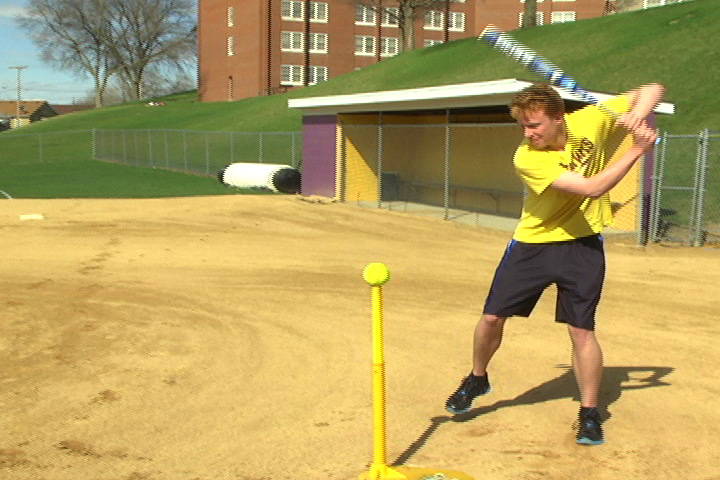 Loras has struggled against Dubuque in recent years, without a win versus their rival since 2010. However, the Duhawks have traditionally fared better at home in the Rock Bowl in this matchup. Four out of their last five victories over the Spartans have come on Bierie Field. Loras is also coming into the matchup on a two game winning streak, while the Spartans enter the week on a one game skid. If the Duhawk offense continues to put up points at the rate it has over the past two contests, it will make for an interesting matchup this Saturday, Sept. 29.